With the upcoming first expansion of Guild Wars 2, Heart of Thorns, the game will be getting a brand new Adventures mode, a new mode that developer ArenaNet hopes will acclimatize players to their full range of skills, while also exposing them to continuously new, potentially unpredictable kinds of content. “Adventures are small, fast-paced, single-adventurer events that challenge you to master a wide variety of skills in a race against the clock. What’s more, adventures are custom-built with leaderboards that allow you to compete against your friends and guildmates for bragging rights,” the developer said. Adventures will apparently be an evolution of the Heart Challenges, and will be tailored uniquely to each player, as well as their present location when they start one; the Adventures will also all be instanced, meaning that you shouldn’t run into another player trying to slay the same monsters or gather the same resources as you. 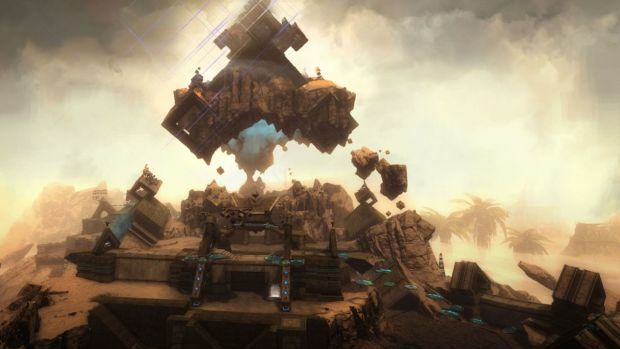 Stay tuned to GamingBolt for more coverage on Guild Wars 2.